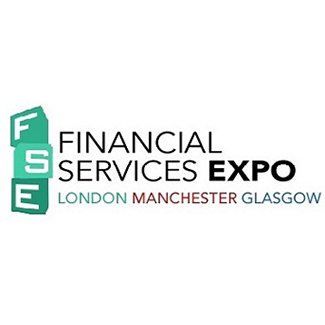 Today is the first day of the Financial Services Expo 2015. It runs 16-17 September at the Old Billingsgate Market, London – but there are locations in Manchester and Glasgow later in the year. The Expo is the biggest trade show for financial intermediaries. There are a range of topic zones, including financial advisors, mortgages, lending, legal advice and technology. Best of all, the Expo is free to attend! There are dozens of institutes and companies represented at the Expo this year. The Equity Release Council will be on hand to answer questions about how to free up the personal wealth you invested in your homes and properties. Sir Clive Woodward is set to give this year’s Key Note Address on the 17th. He is expected to speak about talking challenges and overcoming adversity as the Rugby World Cup kicks off later this week. At 2pm on the Wednesday, the FCA’s Keith Hale will lead a seminar on the mortgage market. Thursday’s 1pm talk by Richard Moodey looks set to be of great value as he discusses the importance of income protection. Our Hertfordshire financial advisors think one of the best talks on the bill is the chance to see Michelle Cracknell, the head of the Pensions Advisory Service, go through the implications of the recent pension reforms. If you’d like to go through the pension reforms in detail, please join us on Wednesday, 14 October for our free Pension Freedoms Seminar at the Hanbury Manor Hotel. The seminar is a great opportunity to field any questions or concerns about your personal retirement planning, changes to pension rules or general financial advice queries to our expert Hertfordshire financial advisors in a relaxed and friendly environment. To book, register your interest at events@gpfm.co.uk. For industry updates, informative articles and more info on the seminar, follow us on twitter @gpfm_fp.